Estate Computers was on the ABC. The Esate Computers Commitee, wellcomes any support. Be it Computers or other ways. even commitee members from those with relevant industry goverment connections. To contact us please fill the form. Professionally refurbished computers with genuine Microsoft software at low cost. Professionally refurbished,recent model computers provide great value. A professionally refurbished computer gives you peace of mind and with genuine Windows® 7 operating system software preinstalled, this helps make your PC simpler and easier to use. With genuine Windows 7 and Windows Live Services and anti virus you can create, connect, and share with the cloud. genuine Windows7 and Office for a very low price of $150 for Desktop PCs; $150 to $250 for Laptops. Estate Computers is a genuine Microsoft Registered Refurbisher. A refurbished computer gives you peace of mind, and with genuine Windows® 7 operating system software preinstalled, this helps make your PC simpler and easier to use. 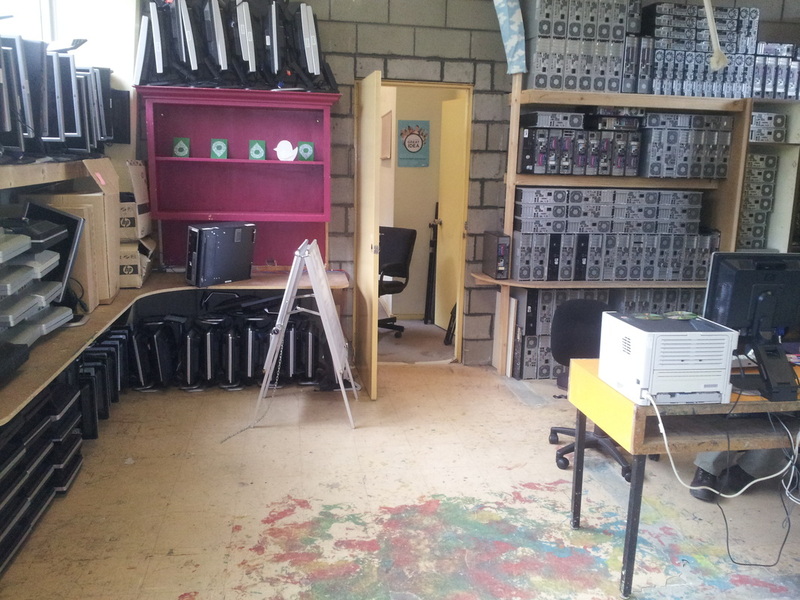 Estate Computers enables people who have been excluded, such as low income public housing residents, to be part of the digital/on-line world (ICT), which so many of us take for granted. Estate Computers refurbishes quality, recent model computers, fully equips them with genuine Windows® 7 operating system software,and Office 2010, and Basic Computer training packages from Microsoft, and sells them at massively reduced cost to low income people. We provide back up maintenance and support and also facilitate appropriate training with partner training providers. You get all you need in a computer and we will add more for free: Adobe reader VLC, Real player, and Skype. The included software alone is worth more than $600 and the hardware is worth around $250 in the market. Estate Computers also provides repair and replacement services, installation, including network, Internet and wireless set up and assessment. Estate Computers considers that people excluded from the on-line world are seriously disadvantaged economically, educationally and culturally. Our aim is to reduce the digital inclusion gap. What is next our GOAL? Estate Computers is now moving to complete its digital inclusion package for clients by adding inexpensive connectedness to the internet in technology savvy ways. 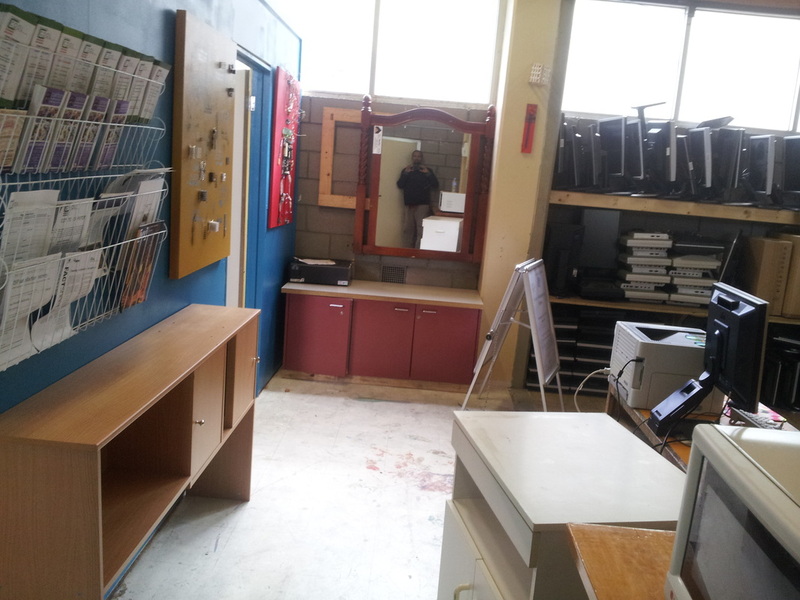 Is a Social enterprise which provides the residents of Carlton Housing Estate and the surrounding public housing estates in Melbourne and some rural housing estates with refurbished, recent model computers loaded with genuine Microsoft Windows 7 and Office software. Estate Computers aims to improve access to and training in Information and Communication Technologies (ICT) for the residents of these estates in Carlton. and elsewhere. With the ever increasing interest and dependence on IT in Australian society, the project is particularly aimed public housing residents who have not previously had the opportunities to engage with IT. This includes young people, the elderly and recently arrived migrant communities. Estate Computers was established through the cooperation of local community agencies the City of Melbourne’s Opportunities for Carlton project and The University of Melbourne. The project was originally funded by the Victorian Department of Planning and Community Development (DPCD) and assisted by the donations of computers from the Victorian Department of Human Services (DHS) through the Public Tenant Employment Program (PTEP). Carlton Neighbourhood Learning Centre to provide Computer Training. 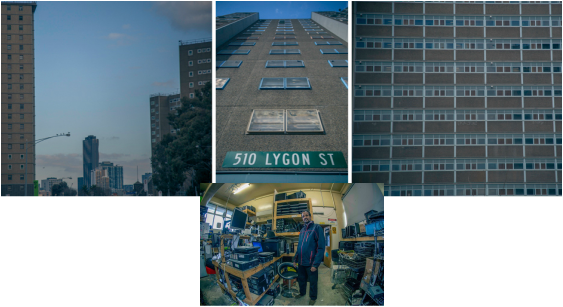 Estate Computers has launched as a crowd funding drive to help families from the public housing estate at Carlton get connected. The good people of the Web team from University of Melbourne did wonders for Estate Computers. Below are some photos of before and after. A Delegation from City Of Melbourne, Bendigo Bank, DHS (PTEP), the Church of All Nations and University of Melbourne (staff and students) visited Estate Computers recently. The Honourable Adam Bandt MP, Federal Member for Melbourne and Deputy Leader of the Greens visited us here in Carlton. He saw first hand the work we do here. He was impressed by the amount of activity and the change to the shop since he saw it last.